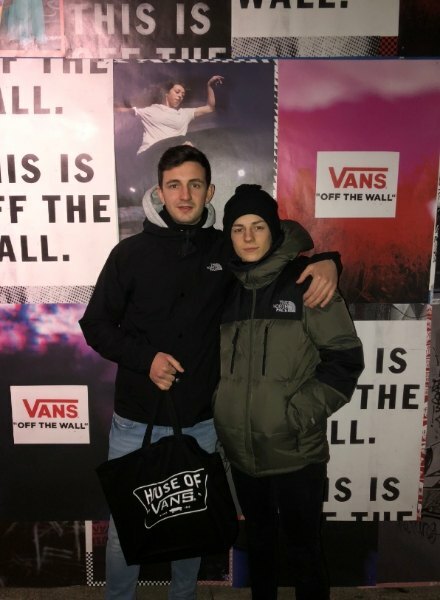 At the end of January, we joined Vans and two lucky JDX competition winners at the House of Vans pop up in Detroit. Taking place from Jan 24th-27th, this four-day event took over the historic Jefferson school – Vans’ biggest event to date! 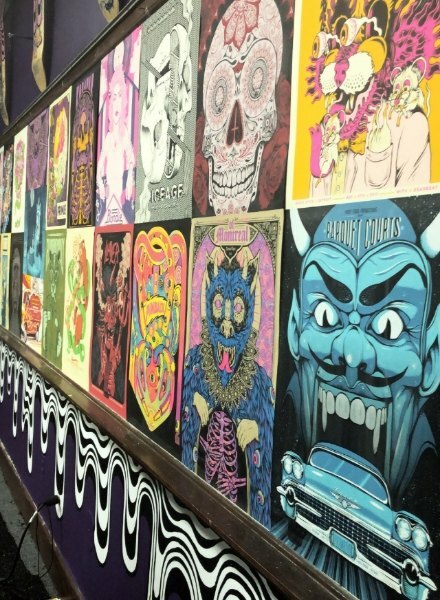 In true Vans style, the first day kicked off with skateboarding and street markets. 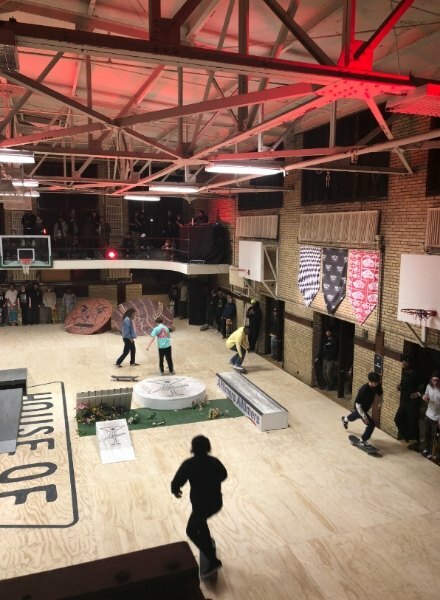 House of Vans actually built a skate park in the school’s gym to pay homage to Detroit’s history and top local spots, while the street market was a creative hub of brands, artists and designers. Just like day 1, Friday kicked off with more skateboarding, street markets and workshops. 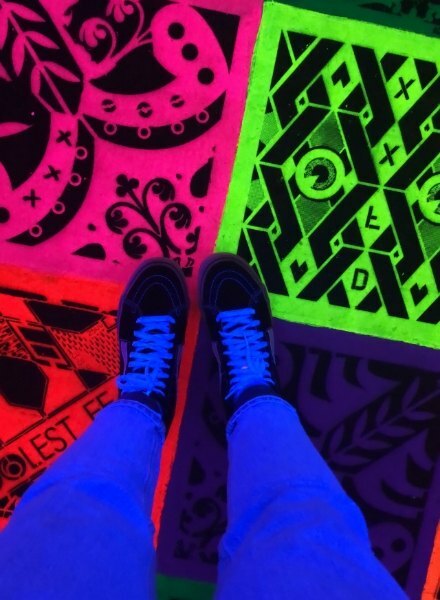 At night, it was all about SESSIONS; House of Vans’ marquee series. Hitting up Detroit, SESSIONS led an open skate session on the skate park, with insane tricks by Quartersnacks and Alltimers. Over in the music venue, up and coming musicians took to the stage to show off their talent, including music and live art from Sheefy McFly, Shaina Kasztelan and more. What better way to start the day than with brunch?! Getting everyone prepped for a packed day, Saturday started out with stacks of waffles. 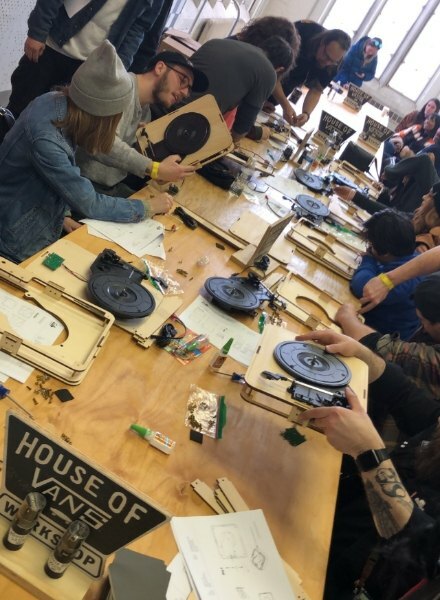 Workshops included a DIY record player build, as well as screen-printing with Jason Abraham Smith and a cartooning class from Jay Howell (AKA, character designer of Bob’s Burgers and Nickelodeon’s Sanjay & Craig). Saturday night it where it was at. 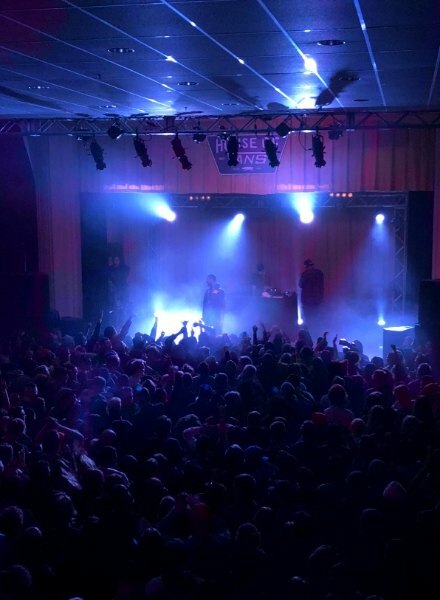 Detroit-rapper Danny Brown, Joyce Manor and Kelsey Lu all treated us to next level performances. After more waffles and even more skateboarding, House of Vans Detroit came to a close – hitting its peak with the ultimate skate competition. Showing off some mad tricks while taking on obstacles, skaters competed to win pyramid scheme of prizes. What a trip! And what a prize for our JDX competition winner. If you wanna be in with a chance to win exclusive competitions just like this one (as well as loads more), make sure you’re signed up to JDX. Sign up via the app here!